6. size can be desing as you want. 2-artwork design 100 USD cost for the first time order 3-Inspection report provided available. We have laser cutt the equipment to produce the body and germany tooth granding equipment. 1 YRS Hangzhou Haotai Tools Co., Ltd.
Tungsten Carbide tip Imported from taiwan , FM35,FM25 , Tungsten Carbide tip from Ceratizit, Luxemburg, KCR05/06 2 . Saw body: High quality steel plate 65 Mn Japan-imported steel plate SKS51, 75Cr1 from Grasche Group, Germany. 3. H igh bending resistance makes Carbide tip difficult to be broken. 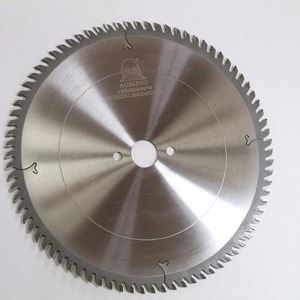 3 YRS Hangzhou Zhiguang Saw Industry Co., Ltd.
10" saw blade precision wood cutting, laminate tct saw blade for wood Shijiazhuang Hukay Precision Tools Co. For customize size, 7-10 days delivery 3. What is after sales service 9 1 year guarantee quality Free replace items re-send if any quality problems. We make sure each blade 100% quality inspection before shipping, we guarantee each blade have perfect quality. In order to enlarge our scope of products and service our customers better, we also keep good relationships with many other professional manufacturers of this area. And also, in order to enlarge our scope of products and service our customers better, we also keep good relationships with many other professional manufacturers of this area. After production, we sample products from all the batches to test, and make the record, we guarantee the high performance of our products. 1 YRS Shijiazhuang Jinyunxiang Technology Co., Ltd.
2 YRS Danyang Haoya Import & Export Co., Ltd. Saw Blade For Cutting Wood. I: T.C.T. 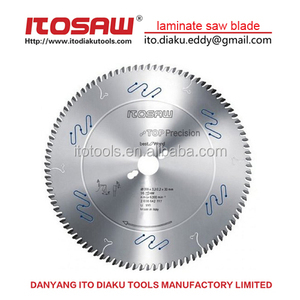 Saw Blade For Cutting Laminated Panels,MDF E: T.C.T. 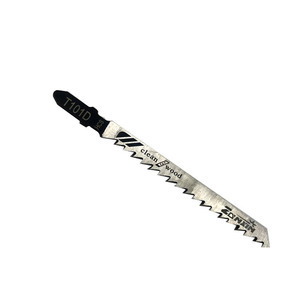 Saw Blade for Cutting Metal A(P): T.C.T. 2)Lower cutting forces:Lower temperature\noise\power consumption. 4)Reasonable swarf curling design:Better cutting surface,No cold welding into the gullet. 6)Decrease the total product manufacturing cost. 7). 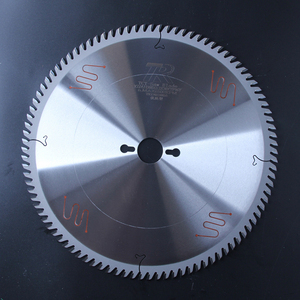 2 YRS Jiangsu Dingsheng Tools Co., Ltd.
Multi rip saw blade with carbide wipers the TCT saw blade can cut hard wood,MDF, Plywood,aluminum Part No Dia mm Body thickness mm Teeth Bore Dia mmm KMJ001 250 2.5 30 30 KMJ002 250 3 48 30 KMJ003 250 3 60 30 KMJ004 250 3 72 30 KMJ005 250 3 100 30 KMJ006 250 3 120 30 KMJ007 300 3.2 36 30 KMJ008 300 3.2 48 30 KMJ009 300 3.2 54 30 KMJ010 300 3.2 60 30 KMJ011 350 3.5 72 30 KMJ012 350 3.5 80 30 KMJ013 350 3.5 100 30 KMJ014 350 3.5 120 30 KMJ015 400 3.8 72 30 KMJ016 400 3.8 96 30 KMJ017 400 3.8 100 30 KMJ018 400 3.8 120 30 KMJ019 450 3.8 60 30 KMJ020 450 3.8 72 30~60 KMJ021 480 4 96 30~60 KMJ022 500 4 120 30~60 Above is for your reference only,we can also produce special saw blade according to your reqiurments . 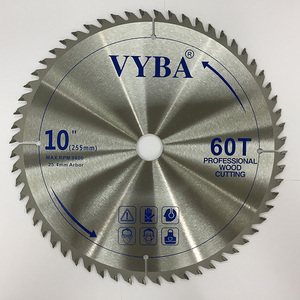 1 YRS Changting County Qlm Sawing Industry Co., Ltd.
1 YRS Henan Xinhuatong Abrasives And Abrasive Tools Co., Ltd.
Alibaba.com offers 1,327 laminate saw blade products. About 78% of these are saw blade, 1% are saw, and 1% are industrial blades. 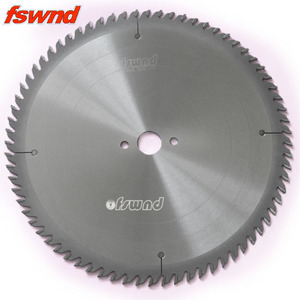 A wide variety of laminate saw blade options are available to you, such as white, nitride. You can also choose from tungsten carbide steel, diamond, and hss. As well as from free samples, paid samples. 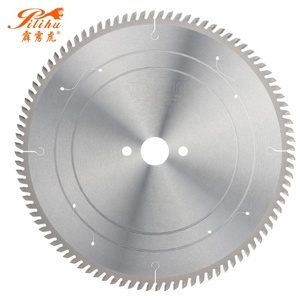 There are 1,327 laminate saw blade suppliers, mainly located in Asia. 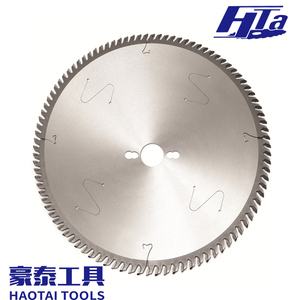 The top supplying country is China (Mainland), which supply 100% of laminate saw blade respectively. 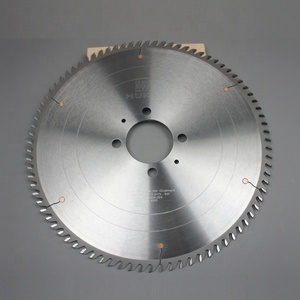 Laminate saw blade products are most popular in Southeast Asia, North America, and Eastern Europe. You can ensure product safety by selecting from certified suppliers, including 439 with Other, 130 with ISO9001, and 34 with ISO14001 certification.